Jay Kay Enterprises was established by our founder and current chairman Mr. Jai Kumar Bansal in 1983. In the last 3 decades we have set up a fully integrated manufacturing line and have achieved high standards in terms of quality. We specialize in 200, 202, 304, 316 and 400 series (409, 410, 430) SS sheets. We supply them in required cut sizes in thickness range of 0.5 mm to 10 mm. With a strong manufacturing base, we are already exporting our products directly as well as through various trading companies to over 20 countries worldwide. We are capable of meeting the bulk demand in a very short span of time with the help of our experienced technocrats. Our team of technical designers and engineers use their innovative ideas and experience in making perfect stainless steel sheets suited for your product. Our stainless steel sheets are used in wide array of industries like kitchen tools and cutlery, kitchen utensils, sinks, stoves, cookware, electrical appliances and stainless steel hardware items. Our sister concern Maven Stainless, set up in 2008, is into manufacturing of stainless steel pipes and tubes. Through our superior finish and product quality, we have climbed ranks to become the most preferred brand in the market. 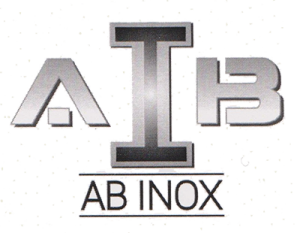 In our pursuit to establish ourselves as the one stop solution for stainless steel products, we have established our stainless steel service unit by the name of AB Inox. We are into exclusive contracts and partnerships with organizations like BRG Iron & Steel Co. and Steel Authority of India Limited to achieve our goal. We have also partnered with local manufacturers and fabricators to expand our product portfolio. With over 5,000 MT per month of sales, we proud our selve in reaching high levels of customer satisfaction. We are renowned for forming long term business bond based on trust and reliability. CUSTOMER RELATIONS as FOUR pillars of success. We are constantly striving to develop cleaner stainless steelmaking processes and bring about industry-wide improvements in sustainability. Our corporate philosophy is to produce safe, sustainable stainless steel, and reflects our deep commitment to protecting and improving the environment in which we work and live. Through innovative thinking, we aim to improve our performance, increase sustainability and find solutions to our customer problems. Innovation permeates everything we do at JAYKAY: from the scientific expertise of our research and development (R&D) department to getting employees in other functions throughout the group to think about what they could do differently. Leadership is an integral part of JAYKAY which helps to shape every aspect of our corporate behaviour and help us meet our promise of ”TRANSFORMING TOMORROW”. Our leadership strategy focuses on product diversity, geographic reach and diversification – we are industry leaders in terms of new technology, sustainability and corporate responsibility. Every organisation needs leadership – at every level. We believe leaders should inspire, influence, motivate and engage people. Leadership should inspire our employees to work at a level that they would not normally reach or go to on their own.